For more than 20 years, the McMahon Law Firm has been helping clients use estate planning to qualify for Medicaid, protect their assets after entering Medicaid-funded nursing homes and create estate plans that pass family legacies to the next generation in the most efficient manner possible. Located in Camillus, a suburb of Syracuse, our law firm represents clients throughout upstate New York. Together, we will help you plan for the future, protect your assets and ensure your family members are cared for after you are gone. McMahon Law Firm, Attorneys and Counselors at Law: Providing peace of mind to generations of families throughout upstate New York. At the McMahon Law Firm, our practice is focused on elder law, including Medicaid planning, emergency Medicaid asset protection and estate planning. We understand the elder law issues facing aging Americans. Our attorneys work closely with clients to develop long-term care plans and use estate planning tools to help our clients qualify for Medicaid. We also understand that sometimes life doesn't leave room for Medicaid planning. We help clients who have recently entered Medicaid-funded nursing facilities protect as much of their assets as possible. 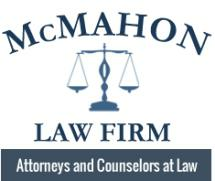 Contact McMahon Law Firm, Attorneys and Counselors at Law, to schedule a free consultation.